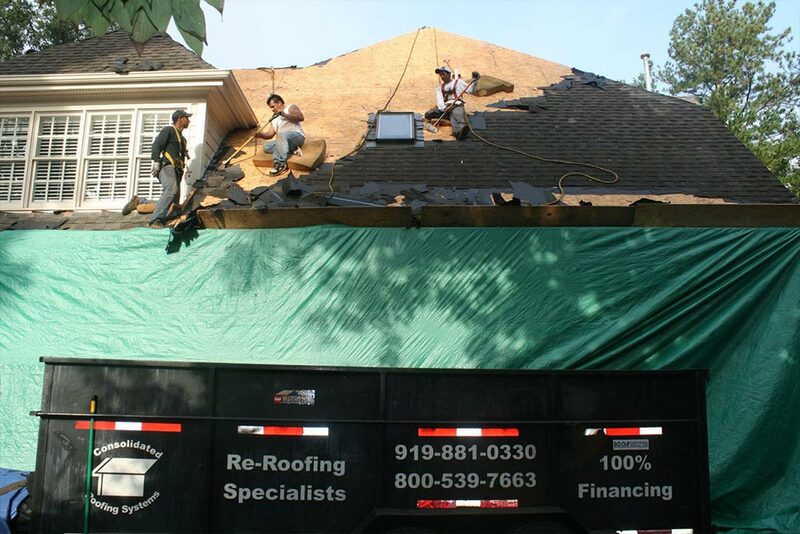 Roof replacement specialists proud to be the local residential Roofing Company of choice in the Apex, Cary, Durham, Raleigh and surrounding Triangle areas for over 30 years! 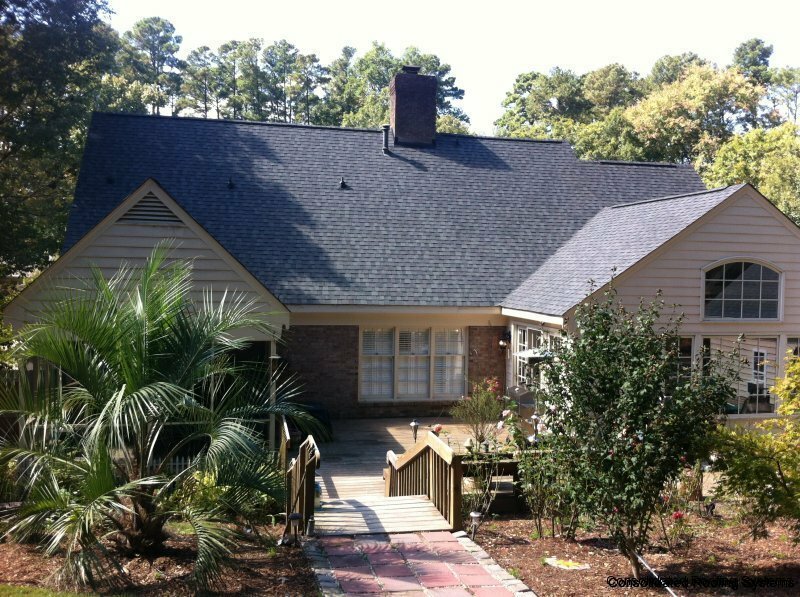 A+ accredited member of the Better Business Bureau with top factory certifications that leave our Raleigh homeowners with peace of mind long after the roof is complete. 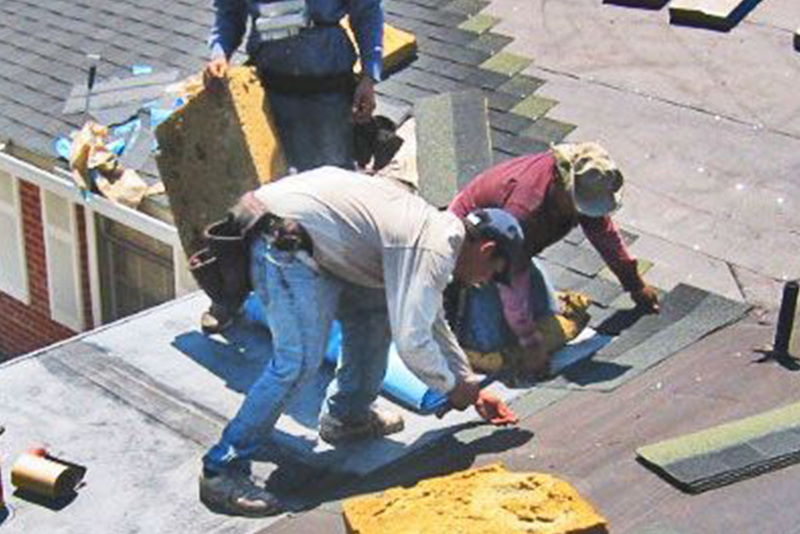 At CRS, we offer exceptional service and provide factory-backed extended shingle warranties. Most importantly, this transforms a typical prorated limited lifetime shingle to 100% non-prorated 50 year coverage. 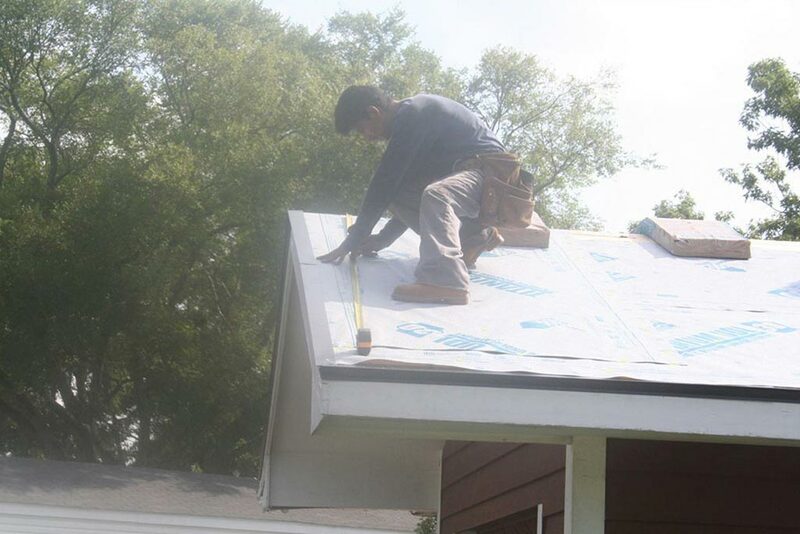 We offer a wide selection of roofing products and services along with financing options to fit any home remodel budget. 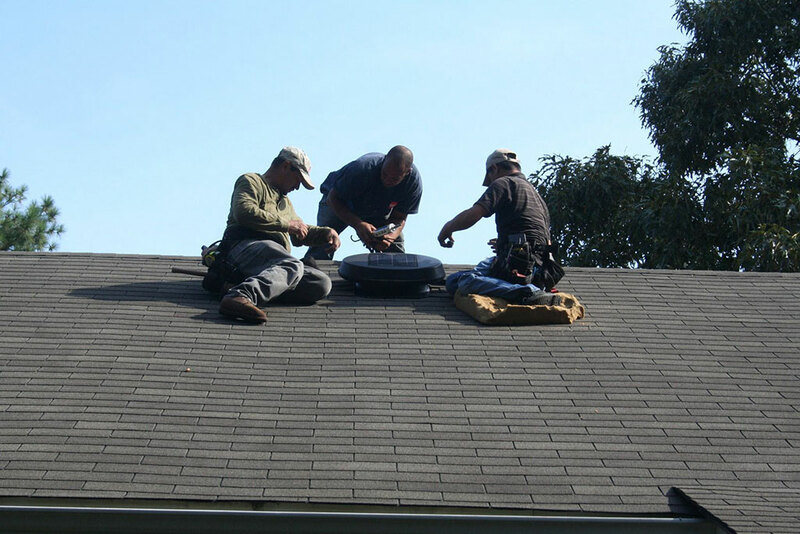 Whether it’s replacing leaking pipe boots or adding skylights that welcome natural light into your home, we offer multiple solutions under one roof. 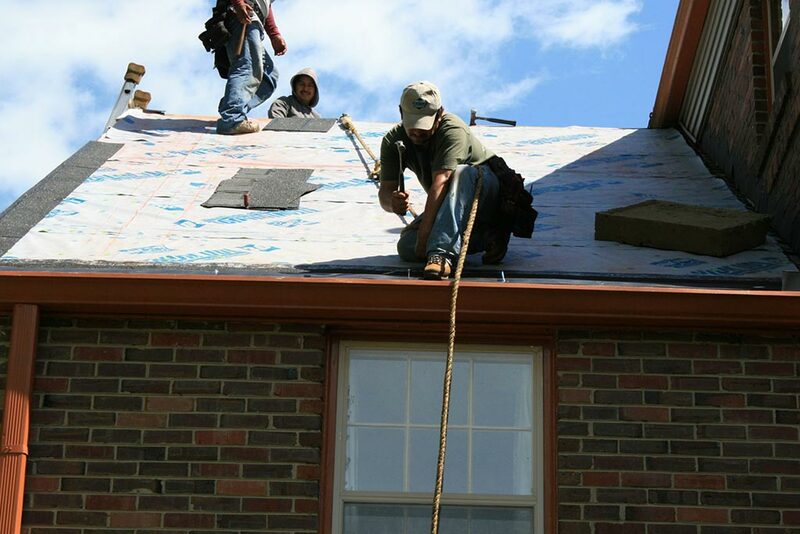 Therefore, when looking for qualified roofing contractors, look no further than CRS. 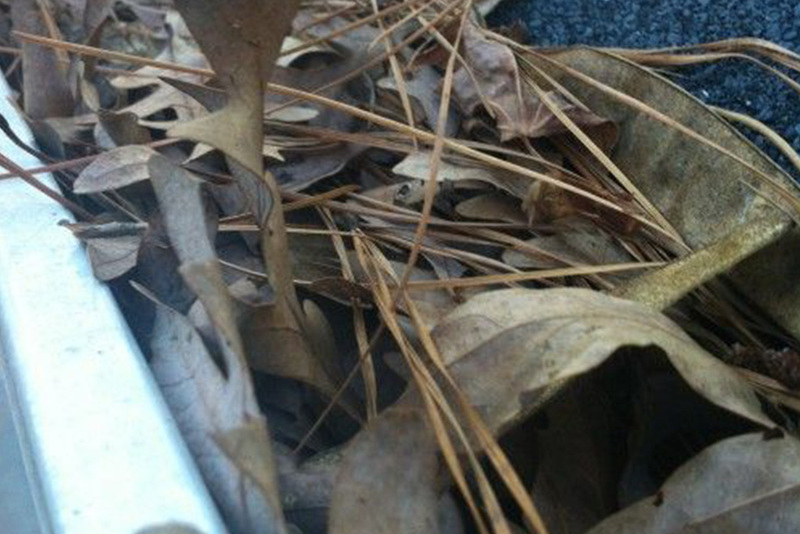 Placed on driveway under truck to catch debris and nails preventing possible tire puncture. 1st a tarp is placed along tear off area up to the base of shrubbery. 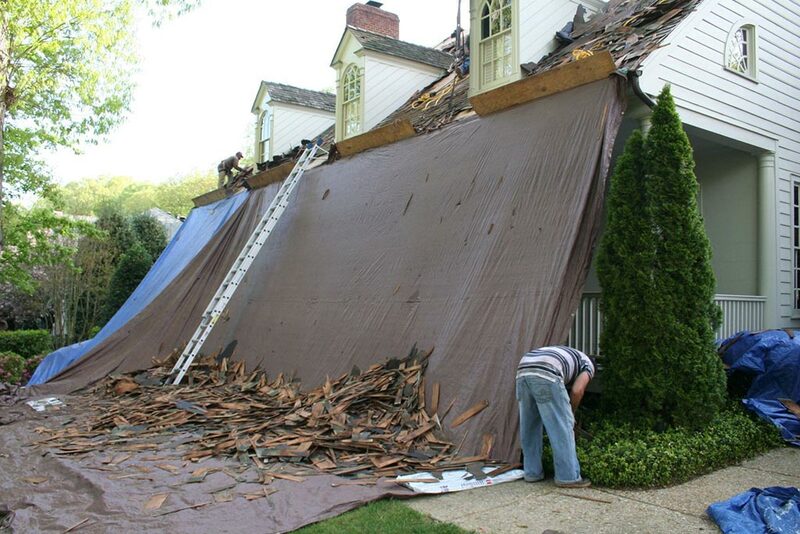 A second tarp is attached at eve over shrubbery to allow air flow and protection from falling debris. Combination of 2 x 4 and 1′ tall strip of plywood to catch all tear off material and act as safety catch for crew along lower edge of roof. Allows deck to air out and have all wood checked for damage and rot. CRS installs synthetic underlayment that is superior to the industry standard 15 or 30 pound felt paper which will dry rot. 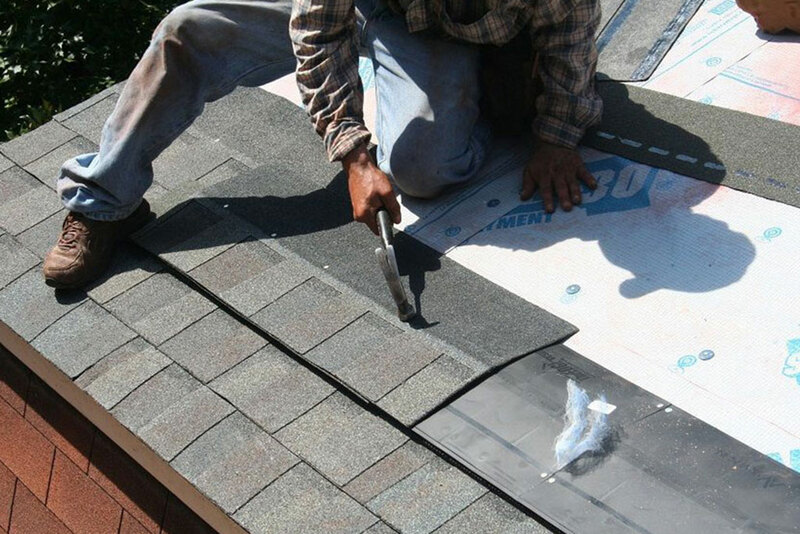 Prevents old nails from backing out causing punctures and puckers on new shingles. Drip Edge protects fascia and prevents shingles from drooping. 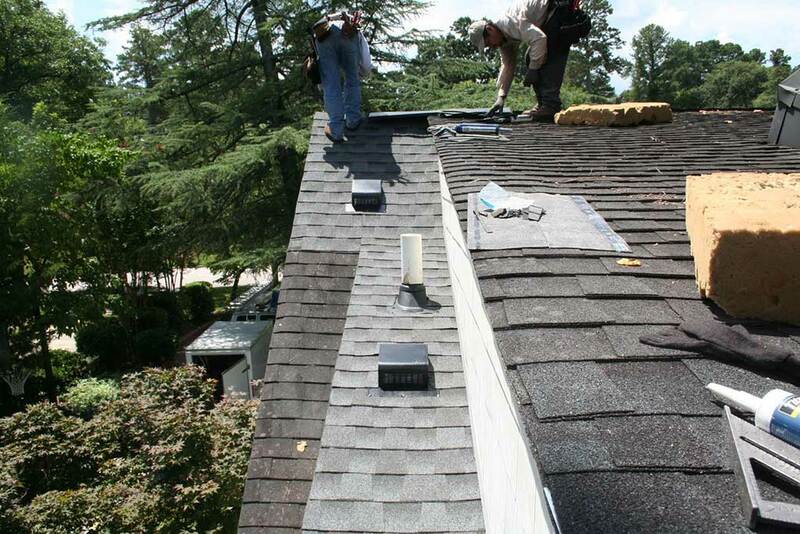 Factory cut starter shingles are placed around entire perimeter of house to protect from high winds. Install in valleys, wrap chimneys, skylights & around water vent pipes. 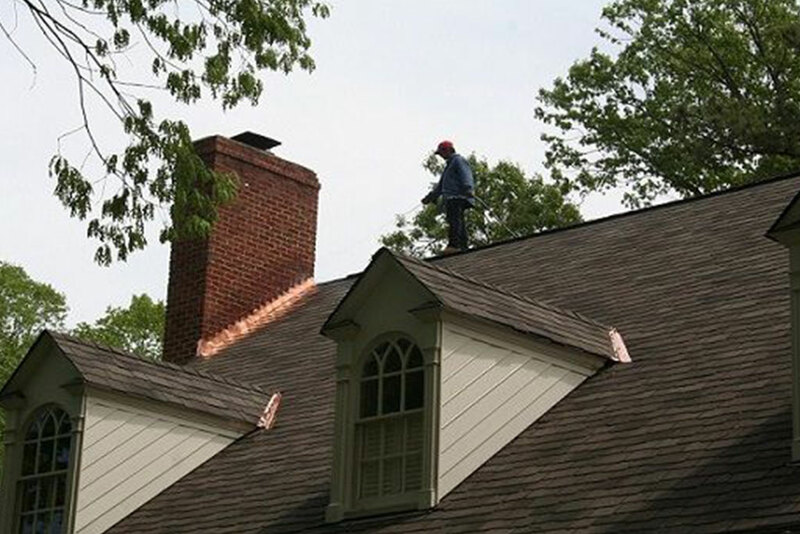 Upgraded GAF Golden Pledge and CertainTeed 5 Star Warranty receives extra Ice & Water Shield in required areas of home in addition to that of our standard installation which is valley’s, chimneys, skylights and around water vent pipes. Always replaced by CRS and set in bed of mastic. The rubber neck on pipe collars dry rots from UV rays. We protect a most probable leak area with an additional Never Leak Rain Collar. Industry standard is 1″, CRS want the ultimate in a secure bond between shingle & wood decking. 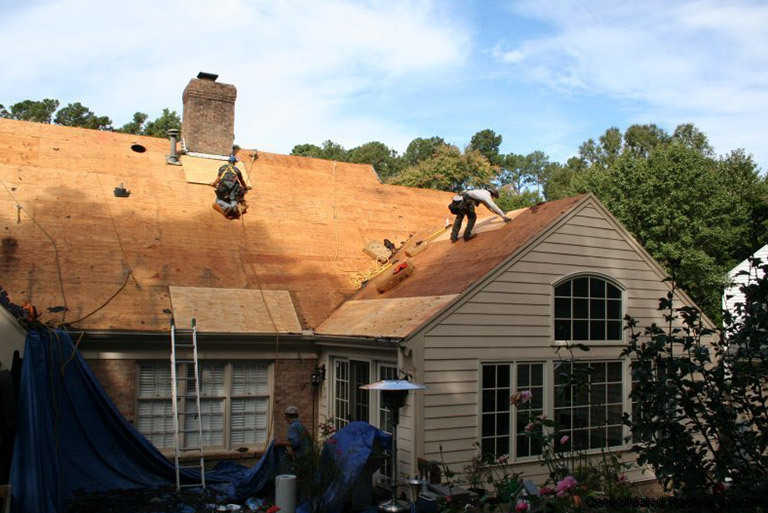 Manufacturers require a minimum of 4 nails per 25 year and architectural shingle. CRS applies 6 nails minimum on architectural shingle installations to insure a 130 mph wind warranty on all roof installations. All manufacturers require minimum attic venting to meet FHA standards for the warranty to be valid. CRS guarantees it. 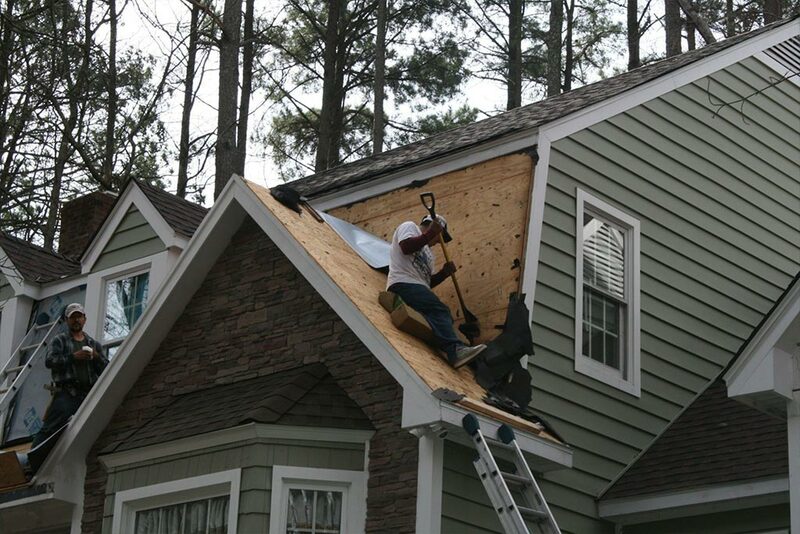 The #1 problem area for improper flashing installation. 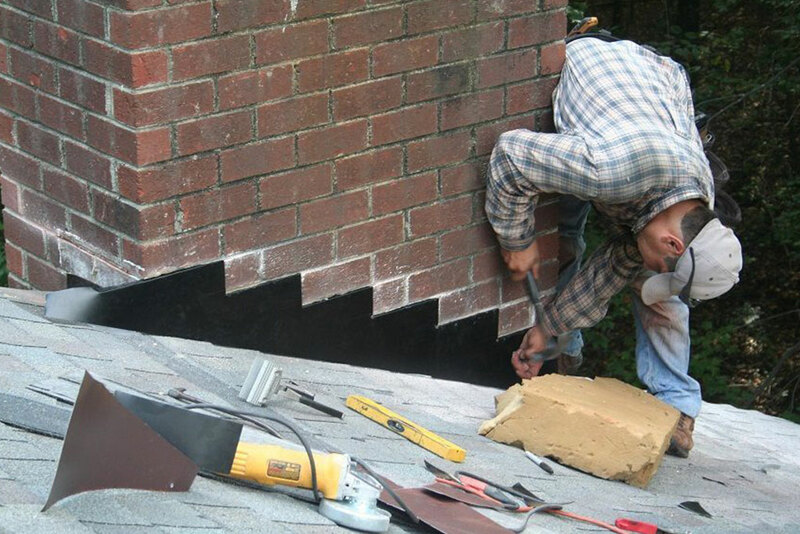 Always grind a 1″ grove into brick, wrap chimney base with Ice and Water Shield and install over sized new step flashing. Then bend the counter flashing metal into the brick joint. We always use copper or baked on enamel HD Aluminum. We never use galvanized metal and spray paint like some. The frame is wrapped in Weather Watch. All step flashing replaced. 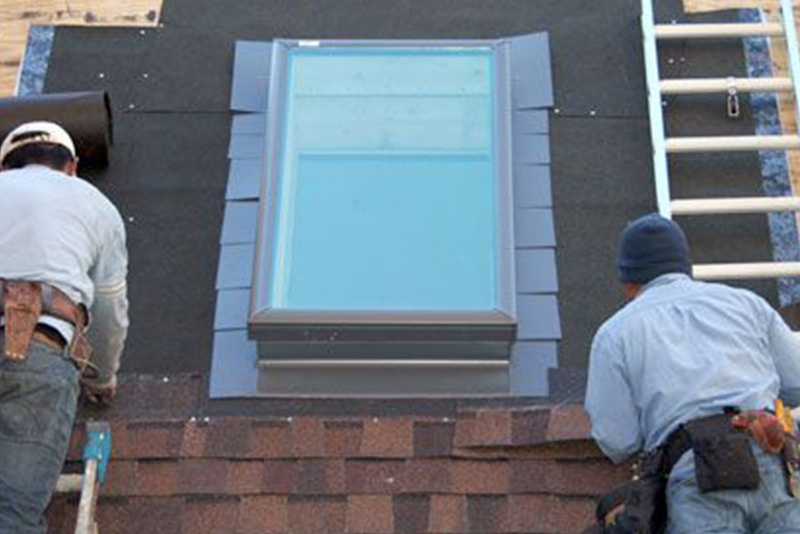 This double coverage will insure skylight against leakage. Clean up is maintained all day during job to ensure job site is clean and safe. A magnet picks up all dropped nails on the roof. All trash & equipment removed at end of the job. Roof is now ready for the final wash down and inspection. All gutters & down spouts are cleaned & washed to ensure proper removal of water when rain comes. 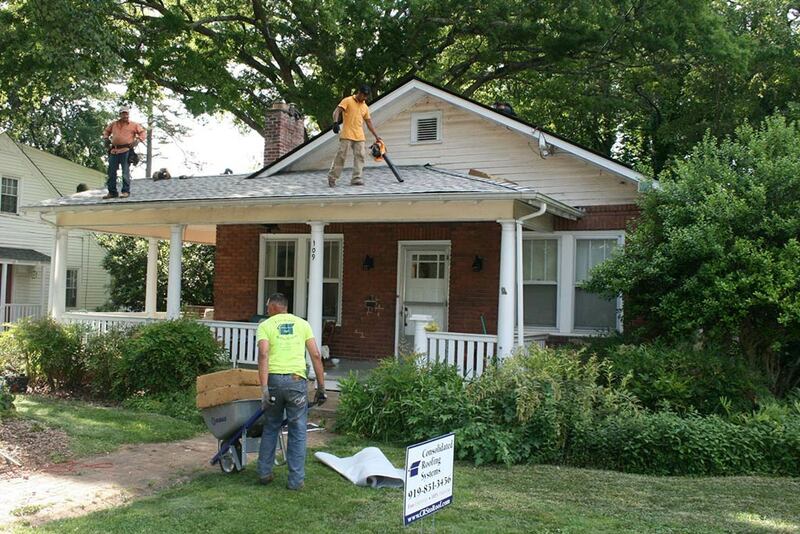 The roof is washed down for inspection upon completion to remove the grit from the original shingles. This can be very hard to get out of your carpet and can scratch those beautiful wood floors. 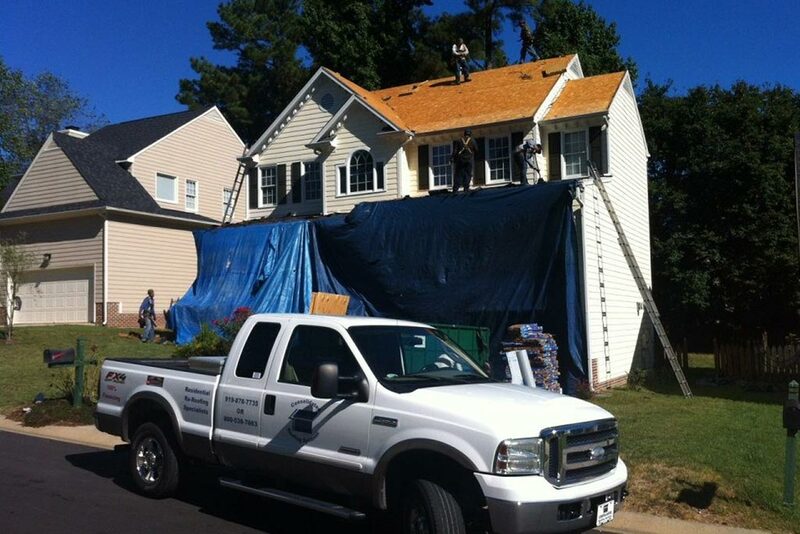 Windows, decks, sidewalks, & driveways are washed to remove the dust & dirt from the roof replacement as well. All job site debris is picked up & the grounds are raked as necessary with a magnet sweep in plant beds & grass areas to pick up nails & metal missed by the human eye. 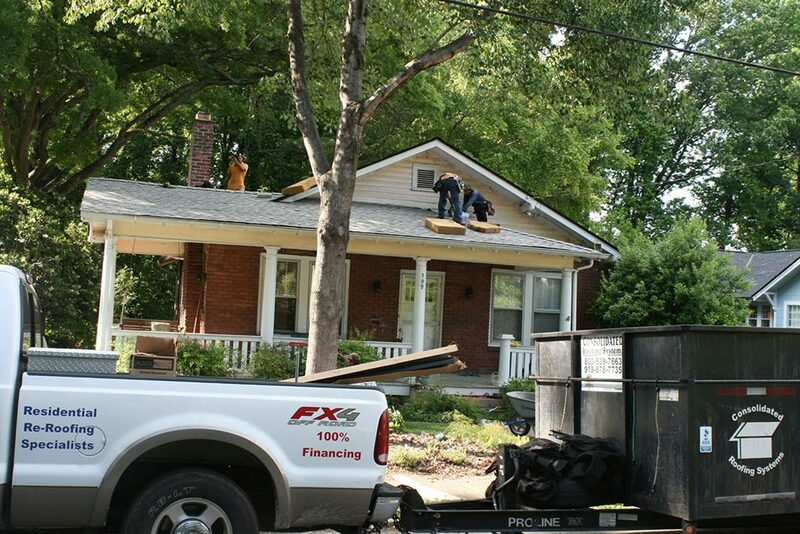 CertainTeed, GAF, & Owens Corning all provide material warranties to maximize your investment. 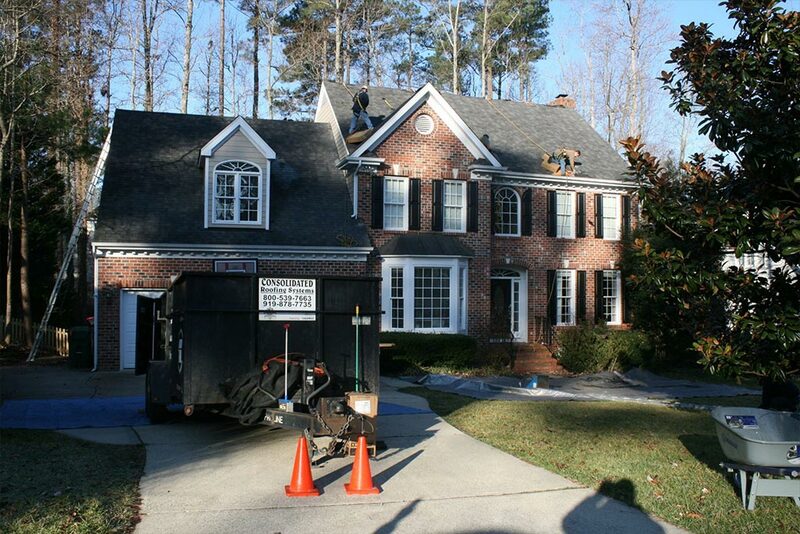 Shingles up-graded beyond 25 years enhance the curb appeal and value of your home. 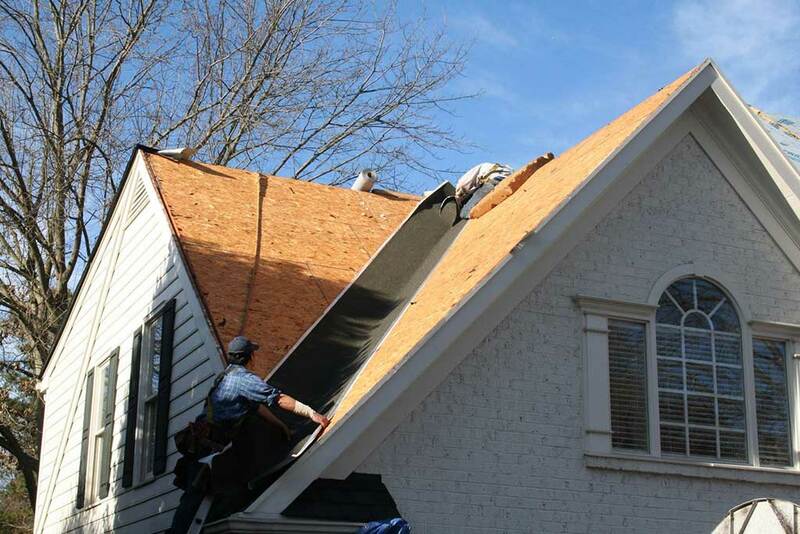 Architectural or Designer Shingles are a good option above the traditional three tab shingle. The CRS workmanship warranty guarantees that any necessary repair work due to installation is 100% covered during the first 10 years, excluding acts of God. This warranty is 100% transferable to a new homeowner.